Extreame Savings Item! 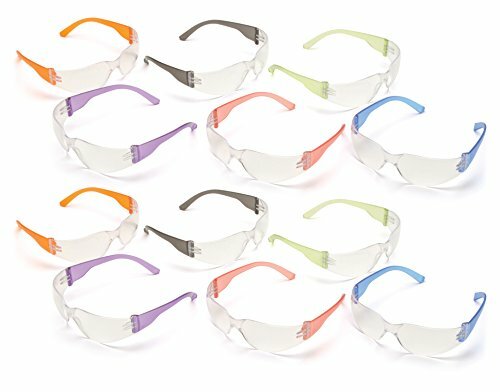 Save 45% on the Pyramex Mini Intruder Youth Safety Glasses (12-Pack) - For Children or Women with Smaller Facial Sizes by Pyramex Safety at SFCPA. MPN: S4110SNMP. Hurry! Limited time offer. Offer valid only while supplies last. Designed for smaller facial sizes the Mini Intruder is an economical light-weight glass offering superior protection. Superior comfort and fit. Designed for smaller facial sizes the Mini Intruder is an economical light-weight glass offering superior protection. Superior comfort and fit. Lenses are coated for superior scratch resistance.